Copying the file to a local disk had no issues. I knew it must be something to do with the PC as my work laptop using the previous Windows 10 version had no issues. Then I remembered reading Microsoft announced that the Fall Creators Update would disable SMB1 by default. This is a great decision by Microsoft in my opinion, but it was causing me an issue. Note too in the Microsoft article it does not list the error I was getting. You can see SMB1 is disabled. So there are two choices - enable SMB1 or get the Synology to use a newer version of SMB. You can now access the files on the Synology. 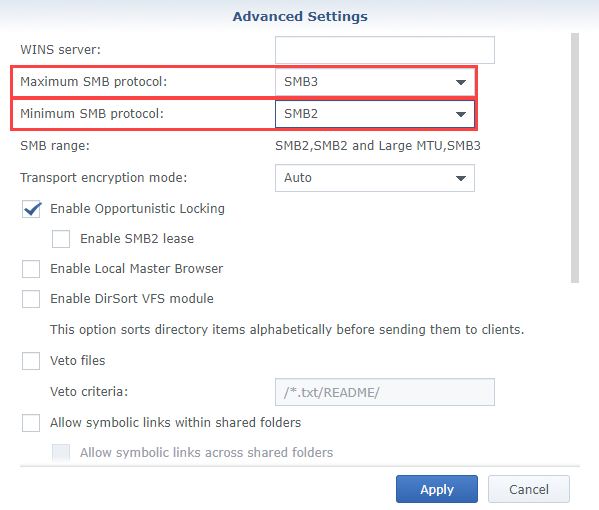 A much better solution is to disable SMB1 on the Synology. Technically you can’t just select a check box to disable it. You change an advanced setting in SMB to say the Minimum SMB protocol is SMB2. This means SMB1 is not used on the Synology. 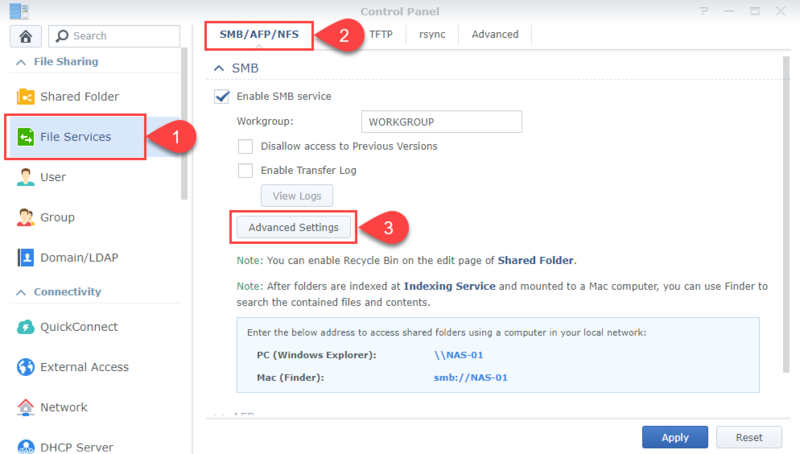 While you change the options you will see in SMB Range: the supported SMB protocols change. 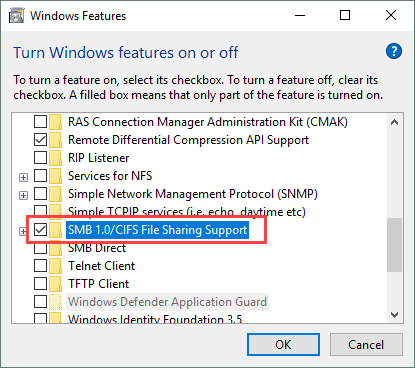 Apply the changes and you should be now using SMB2 at least with your Windows 10 machine, but it should automatically use SMB3. Note the Dialect is 3.1.1 - SMB3. Synology devices are very popular and as Windows 10 Fall Creators Update starts hitting machines I hope someone finds this useful. I highly recommend you change the SMB version on the Synology and do not enable SMB1 on Windows 10.